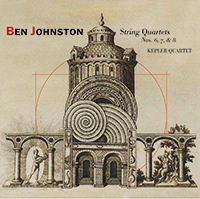 Players Are Wanted for Ben Johnston’s Works. Some Sacrifice Is Required. 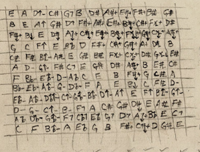 The Kepler Quartet was formed in 2002 by violinists Sharan Leventhal and Eric Segnitz, violist Brek Renzelman and 'cellist Karl Lavine to record the complete microtonal string quartets of composer Ben Johnston. Please consider making a tax-deductible contribution to WAC-Kepler/Johnston. Wisconsin Alliance for Composers (WAC) is our fiscal agent, a 501(c)(3) nonprofit that will ensure 100% of your donation goes to Kepler Quartet's project expenses.